Prospective medical students, incoming students, pre-health advisors, family, and friends are welcome! This is a great opportunity to meet and talk with current students, faculty, and staff at PNWU. Attendance is free. This is a paid internship opportunity for up to 6 undergraduates and/or graduate students interested in being part of a dynamic, student-led team charged with finding innovative solutions to problems in education, medicine, health care, policy, and diversity work at the Georgetown University School of Medicine (GUSOM). The internship is a summer long program and a wonderful chance to join a fast-paced, start-up styled team in higher education. Undergraduates would work specifically in the Office of Diversity and Inclusion as Innovation Associates and the summer internship will run from June 3rd to August 12th, 2019. They are accepting applications until April 5th at 5PM EST. GUSOM has rolling admissions, so early applications are highly recommended. All students are encouraged to apply! Interns are paid hourly at $13.25! Social Entrepreneurship Experience: They are a new, exciting start-up styled team at the School of Medicine, Office of Diversity and Inclusion. If you’re interested in getting some first-hand start-up experience with an exciting team, you’ll learn a lot from this meaningful opportunity and contribute in ways that matter. Rich Teaming Experiences: Practice your skills in collaboration with a dynamic team and work directly with the Senior Associate Dean, Dr. Susan Cheng. Mentorship: Direct mentorship with supervisor and 1-1 career coaching and development. Prime Networking Opportunities: Opportunities to grow your own professional network in higher education and at the School of Medicine as you collaborate with our team! Applications are due by April 5th, 2019 at 5PM EST. Do you still need something fun to do this summer? Are you energetic, creative, and enthusiastic? Do you like working with youth and being a part of a FUN team? Are you looking to gain experience in the health care field or working with people with special health care needs? They are currently recruiting volunteers who are mature and responsible individuals, who like working hard and who are willing to learn. Camp Promise-West is a one-week overnight camp that is provided free of charge for kids, teens, and adults with muscular dystrophy and select neuromuscular diseases. They believe all kids should get to experience the magic of camp, regardless of their medical needs or physical abilities and highly value our volunteers who help make this happen. Their schedule is jam packed with theme days, pranks, costumes, summer fun, and activities that are 100% wheelchair accessible. 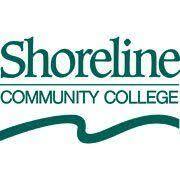 One-on-one counselors to provide personal care and assist with daily activities. This is an ideal opportunity for individuals who are dedicated to giving back to their community and/or who are interested in a career in the healthcare field and are looking for experience working one-on-one with individuals with special healthcare needs. Many (but not ALL!) of their volunteers are pre-health students (e.g., medicine, nursing, physician assistants, PT/OT) or interested in social work or counseling, or graduate students/professionals in these fields. While helpful, experience is not required as they provide all necessary training at our orientation session prior to camper arrival. Their volunteers are 18+, come from diverse backgrounds and from all over the country, so whatever your skills may be, if you are committed to making camp the best week of our campers’ year, they would love to hear from you! Requirements: Be at least 18 years old, submit an application, complete an interview, and pass background and reference checks. Please visit the requirements page of our website for more information. For more information, please contact Shannon Healey at Shannon@jettfoundation.org or 405-459-PIGS (7447). The Surgical Outcomes Research Center (SORCE) Quality Improvement Workgroup is seeking a motivated individual interested in reviewing and abstracting data from electronic medical records. This student assistant position will join their team of abstractors to provide support for a variety of regional and national quality improvement (QI) surgical registries, including (but not limited to): NSQIP, SCOAP, or MBSAQIP. As part of this team, the incumbents will be responsible for aiding with abstraction, data entry, and keeping up with registry deadlines. This position may also involve direct contact with participants over the telephone to gather post-operative follow-up data. Individuals hired for the position will be trained in accordance with SORCE standard operating procedures to ensure consistent and accurate data collection. Attention to detail is imperative as the data collected is used in support of quality improvement benchmarking for the hospital, as well as research. The School of Public Health (SPH) would like to announce their upcoming All-School Open House, which will be held on Wednesday, April 10th from 1pm-4pm at the Husky Union Building in the Lyceum (HUB 160). This session will offer prospective students an opportunity to learn about the numerous paths and possibilities that their school offers. Representatives from each of our departments and several of our major programs will be present to speak with students about their 62+ degree and certificate programs. Members of SPH student organizations will also be present at the Open House to give students the chance to learn about the connections and community that their students build outside of the classroom. And of course, there will be light refreshments. Representatives from each of our departments and several of our major programs will be present to speak with students about their 62+ degree and certificate programs. Members of SPH student organizations will also be present at the Open House to give students the chance to learn about the connections and community that their students build outside of the classroom. And of course, there will be light refreshments. This event is open to all who wish to come – current UW students, prospective students from all over Washington State, and anyone else interested in learning about the undergraduate and graduate programs they offer at UW SPH. Course coordinator: Libin Xu, Ph.D. Course Description: An undergraduate elective course that will introduce students to medicinal chemistry and pharmaceutical sciences. Geared towards sophomore, junior and senior students majoring in chemistry, biochemistry, bioengineering, chemical engineering, public health and other health sciences, and related fields. Science elective for chemistry, biochemistry, and related majors. Overview of global health inequalities and the burden of oral disease worldwide. Introduction to international health care systems and the social, political, cultural, behavioral and economic factors influencing them. Case studies with interactive student participation to analyze the impact of oral health on the public health system at a country level. The University of Washington offers internship opportunities for students interested in gaining valuable hands on experience in the medical profession. The training room offers an exciting and challenging setting for students interested in acquiring injury evaluation, management and rehabilitation skills as well as professional interaction with the medical community. Student interns work with Certified Athletic Trainers and Team Physicians to provide health care to all NCAA Division I athletic programs at the University of Washington. Graduates of UW’s Athletic Training Program have used their experiences as a stepping stone into successful careers as Athletic Trainers, Medical Doctors and Physical Therapists. If you are motivated and dedicated to advancing your career in the medical profession, an internship in the UW Training Room will give you valuable skills and experience in an exciting and rewarding setting. Interested students should contact Jaqulyn Carrell via email at jcarre14@uw.edu or download an Application. Head to Pullman WA on Saturday, March 23rd for an in-depth look at the Washington State University College of Veterinary Medicine and the WIMU Regional Program! Their annual Discover Veterinary Medicine @ WSU event offers undergraduate students the opportunity to experience their program first-hand. Hear about their classes and extracurricular offerings, take a tour of their Veterinary Teaching Hospital, get an inside look at the admissions process, and hear from their current veterinary students about the opportunities that set their program apart! Registration closes Monday, March 11, 2019. Questions? Email them at DVMatWSU@vetmed.wsu.edu for more information. Posted in General Interest	| Comments Off on Register Now for DVM@WSU! 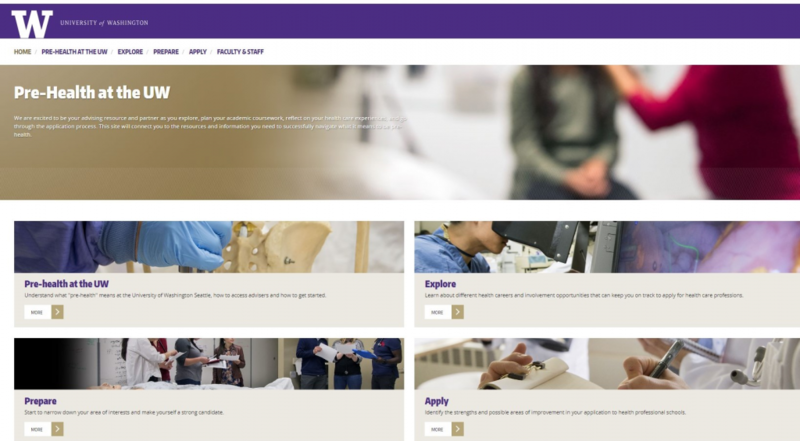 The Career & Internship Center is building a new Pre-Health website that will direct students to the right resources for their stage in preparing for health professional school. Please email prehlth@uw.edu if you would be available to meet with our designer for 20 minutes to review the site and provide feedback. Synapse at the University of Washington is a student-led traumatic brain injury support group. They host peer support groups for individuals with traumatic brain injuries (TBI), in addition to social events and social skills workshops. Their student members are an integral part of the organization, mostly participating through the Buddy Program which pairs them to an individual with a TBI. Buddy pairings are meant to foster a close friendship that helps reduce the barriers of social isolation often faced long-term post-injury for people with TBIs, and gives students interested in careers in healthcare an opportunity to work closely with this under-served community and invaluable experience interacting with this vulnerable population outside of a clinical setting. Buddy pairs commit to personal meetups ideally around twice a month, getting to know each other through casual social activities in addition to Synapse-organized events. If you have any questions, please each out to them at brainuw@uw.edu or contact Grace Wang, the director of the Buddy Program at gracenw@uw.edu. The Paul Nghiem Lab is a moderately sized, diverse lab with basic, translational, and clinical research projects. We study Merkel cell carcinoma; an uncommon, frequently lethal skin cancer associated with immune suppression, UV exposure, and the Merkel cell polyomavirus (see www.merkelcell.org). Working in this lab environment provides extensive opportunities to interact with scientists, physicians, and clinical research team members. These interactions and opportunities to lead projects in later years can be very helpful for professional development of the undergraduate research assistants in the lab. Our lab is located in SLU at the UW Medical Center, which is a 20 minute shuttle ride away from main campus. They are seeking a motivated, enthusiastic undergraduate to assist with general lab duties and translational/clinical studies involving maintenance of patient databases and support of clinical trials. Many of their projects involve contact with patients and other healthcare providers. Your duties would involve collecting data from patient charts, ordering tissue samples, stocking the tissue culture room, updating the website, and maintaining an accurate and up-to-date database. Students that are organized, communicative, collaborative and have a strong desire to learn about the biology and clinical management of cancer are encouraged to apply. They are looking for applicants who are juniors, sophomores or freshmen, majoring or intending to major in a biological science and have successfully completed some relevant coursework. They will prioritize students who plan to go into healthcare or biomedical research. Prior research or clinical experience is advantageous but not required. A minimum of ten hours a week is the anticipated commitment. Students must make a two-year part-time commitment during the school year and full time during the initial summer. However, scheduling is flexible around your school schedule. The Undergraduate Research Assistant position offers hourly compensation equal to the Washington State minimum. The Harvard T. H. Chan School of Public Health Multidisciplinary International Research Training (MIRT) Program is a national program designed to encourage predoctoral and postdoctoral trainees who are from health disparities populations to pursue research, teaching and leadership careers in biomedical, clinical and behavioral sciences. This program provides fellows with experience in population-based health research in developing countries. Priority will be given to (1) pre-doctoral graduate students and (2) undergraduates with at least a junior standing by the beginning of summer quarter 2019. All information and application materials for the program are available on their website at www.hsphmirt.com and applications are due March 25, 2019.